ATTORNEY General Faris Al-Rawi says in the magistracy there is a 40 per cent backlog in capital offences (murder and treason) and a 50 per cent backlog in non-capital offences. He made the comment while piloting the Magistrates Protection Act in the Senate Tuesday. He said the disposition rate (where there is final determination of a case) for capital offences for 2017/2018 was roughly 40 per cent, with 60 per cent going into backlog and not yet completed. He said for non-capital offences it was roughly 50 per cent disposition with 50 per cent going into backlog, while family matters were 70 per cent disposition and 30 per cent going into backlog. Al-Rawi said the total number of cases dealt with by magistrates in 2017-2018 was 165,154, including capital offences at 168 and domestic violence at 8,332. He also reported non-capital offences numbered 28,186, family matters 14,532 and traffic matters 102,875. On the bill he said there was an incongruity in that magistrates do not enjoy the immunity that High Court judges do. He said there have been exhortations from the bar, magistracy and judiciary to look at the anomalous situation where a magistrate can be subjected to a claim for damages in his or her personal capacity but where there was no malice or contempt on the part of the magistrate. He said attorneys have written to him complaining that notwithstanding that they had written his predecessor in 2012, 2013 and 2014, nothing was done to treat with this. 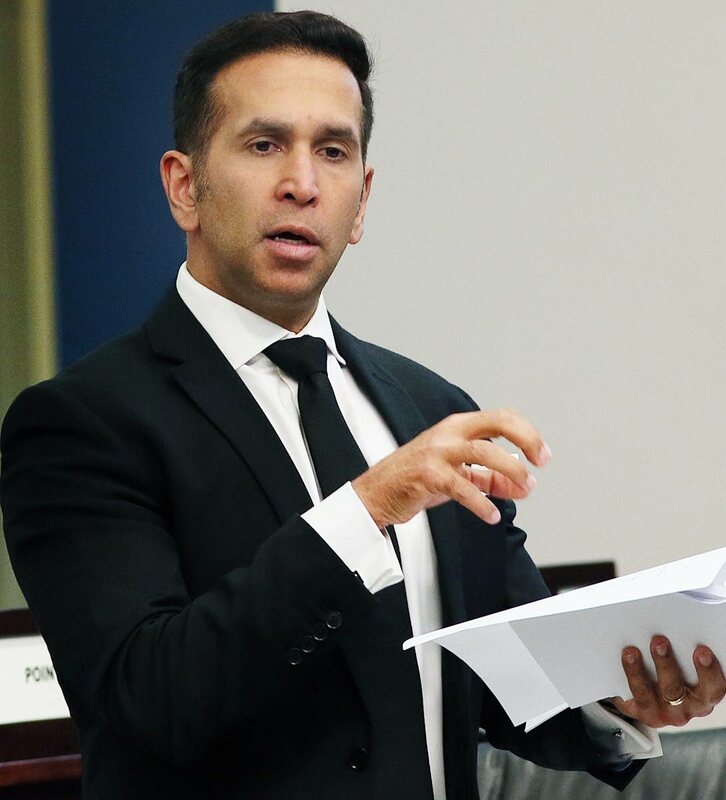 Al-Rawi pointed out parliamentarians were protected by parliamentary privilege and questioned how a lesser standard could be applied to magistrates. Reply to "Al-Rawi: 60% backlog of capital cases"